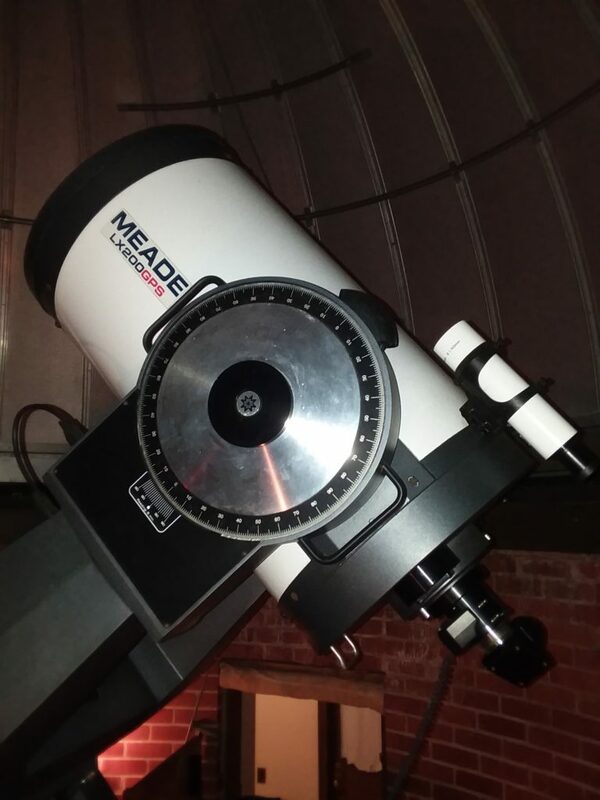 The Meade 16″ Schmidt-Cassegrain reflecting telescope is permanently mounted inside the smaller dome on top of the observatory building. It is computer-controlled for pointing and tracking, and is accessible via a narrow spiral staircase leading up to the dome entrance. The dome is much smaller than the main dome, so we can only take groups of 8 – 10 persons at a time.